Border Patrol agent Lonnie Swartz will be tried again in the killing of 16-year-old Jose Antonio Elena Rodríguez. Federal prosecutors announced their decision for a new trial on voluntary and involuntary manslaughter charges at a hearing Friday in Tucson’s federal court. The trial is scheduled to start Oct. 23. Swartz, originally charged with second-degree murder in the 2012 shooting, was acquitted of that charge on April 23 by a jury of eight women and four men. U.S. District Judge Raner Collins gave them the option to consider voluntary and involuntary manslaughter if they were unable to reach a verdict. But after four days of deliberation, the jurors told the judge they couldn’t reach a unanimous decision on the lesser charges. Assistant U.S. Attorney Mary Sue Feldmeier said she couldn’t comment on the government’s decision to retry the case. But Sean Chapman, one of two defense attorneys representing Swartz, said he wasn’t surprised. “It’s typical in a homicide case where there was a mistrial on some counts,” he said. Full coverage or the Lonnie Swartz trial. 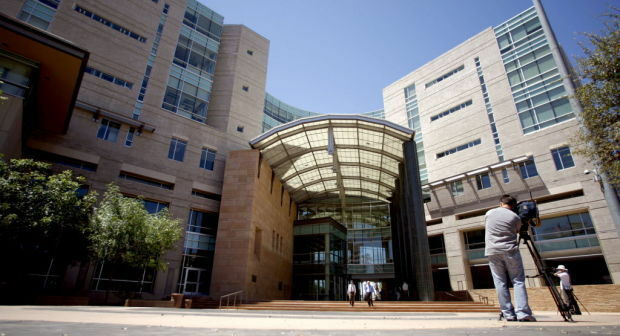 Federal district courts in Arizona are already working at capacity and can’t take more prosecutions, their chief judge said Monday. He was responding to the U.S. attorney general’s announcement that the Department of Homeland Security is now referring 100 percent of unauthorized border crossings for prosecution. In fiscal 2017, more than 14,000 people were sentenced to prison for crossing the border illegally (entry and re-entry) in the District of Arizona, according to data compiled by the Transactional Records Access Clearinghouse at Syracuse University. Last fiscal year, the Border Patrol made nearly 39,000 apprehensions in its Tucson sector and close to 13,000 in its Yuma sector — numbers that could potentially mean doubling the number of prosecutions if everyone is prosecuted. While a person can be apprehended more than once in a given year, the recidivism rate among the agency’s arrestees has decreased significantly over the years. In the first four months of the year, the Florence Immigrant and Refugee Rights Project, an Arizona-based organization that provides free legal services to those in immigration detention, has seen 135 cases of parents separated from their children, said Lauren Dasse, the group’s executive director. It had 213 cases in all of 2017, she said, up from 190 the previous year. “We have concerns, especially when we talk about prosecuting every single immigrant,” Dasse said. Jurors on opposite sides: Was agent stopping threat, or lethally over-reacting? Kevin Briggs and Heather Schubert, two of the 12 jurors in the murder trial of Border Patrol agent Lonnie Swartz. Perla Trevizo/Arizona Daily Star. After sitting in a courtroom and listening to evidence for four weeks, a Tucson jury was deadlocked almost immediately on whether to convict Border Patrol agent Lonnie Swartz — a reflection of the strong divisions in society when it comes to law enforcement and the border. 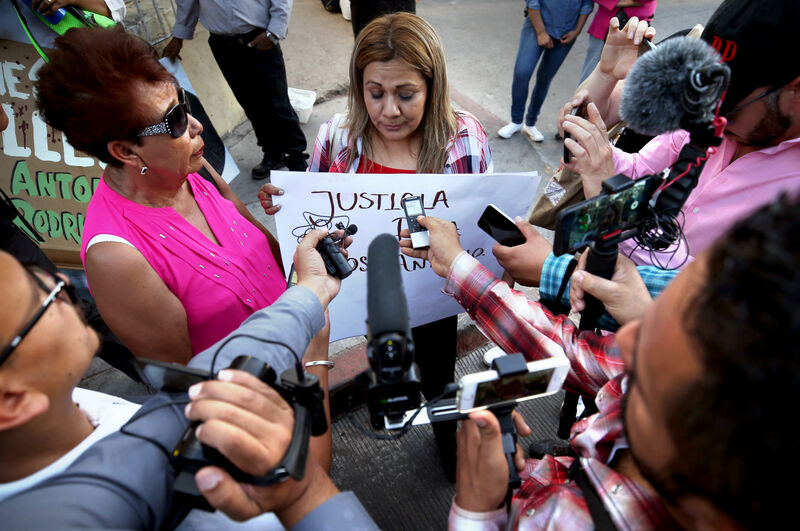 Swartz, 43, was indicted in 2015 after firing 16 shots through the border fence at Nogales in response to rock throwers, killing Jose Antonio Elena Rodríguez. The 16-year-old Mexico native was hit eight times in the back and twice in the head. While the decision to not convict the agent on a second-degree murder charge was quick, the jurors couldn’t agree on two lesser charges: voluntary manslaughter and involuntary manslaughter, two jurors said in interviews. “We felt second-degree was not an appropriate sentence for him,” said Heather Schubert.